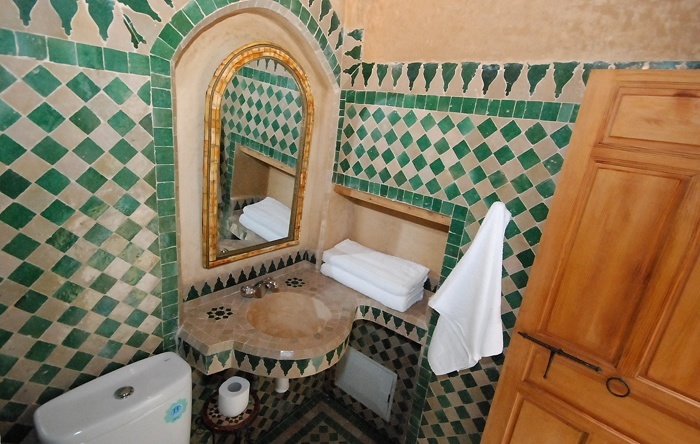 Fez Morocco Hotels? 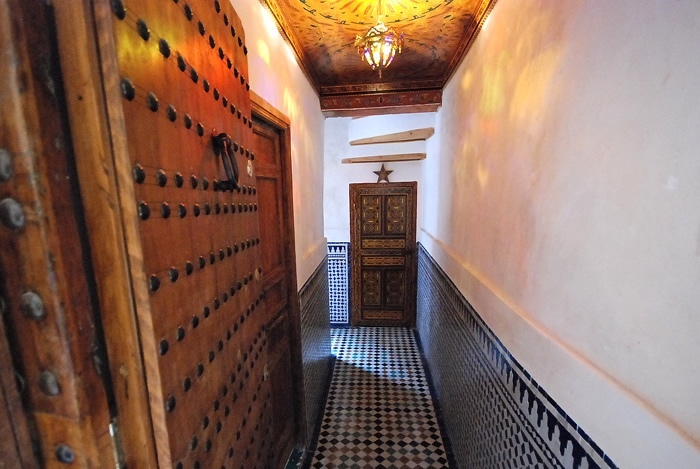 Reserve Dar Jnane and other Fes dars, riads, small palaces, rental houses, Moroccan villas near Fez Medina historic souks. 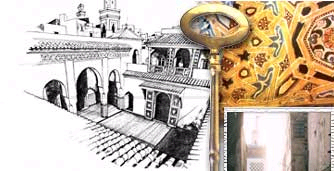 Historic Medina of Fez, Morocco. 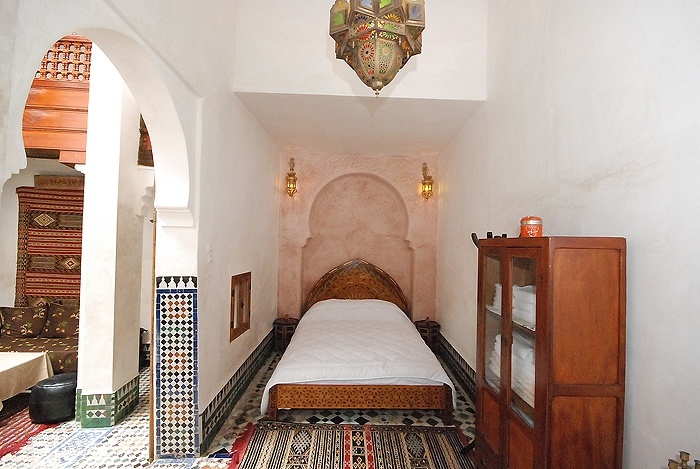 Dar Jnane is a charming and simple small 18th century house located in the heart of the Fez Medina—built around an antique courtyard filled with light. 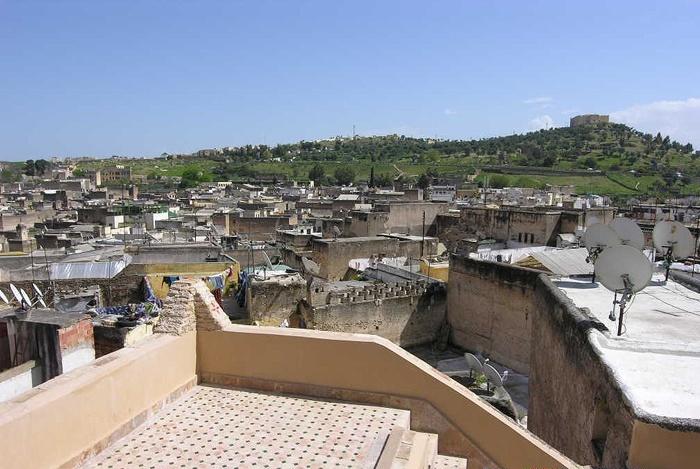 Dar Jnane's lovely terrace has a panoramic view to the south and east of Fes, and a sitting area. 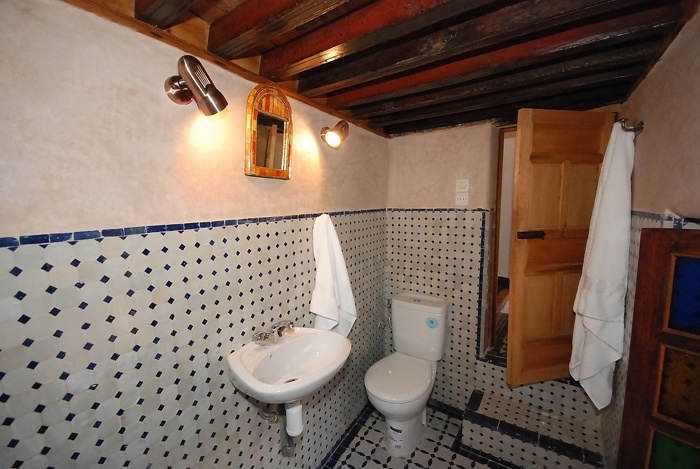 Dar Jnane was restored with traditional materials such as mosaic (zellige), natural cedar wood, plaster, and simple hand-made furniture. 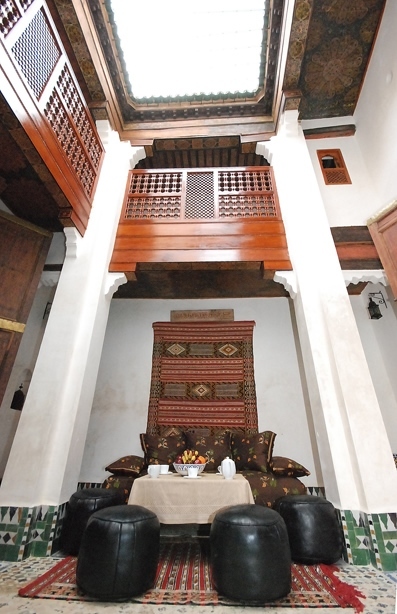 Dar Jnane can accommodate four people comfortably or five with the use of an additional banquette. One bedroom with double bed is on the ground floor, separated from the courtyard by keyhole doors. 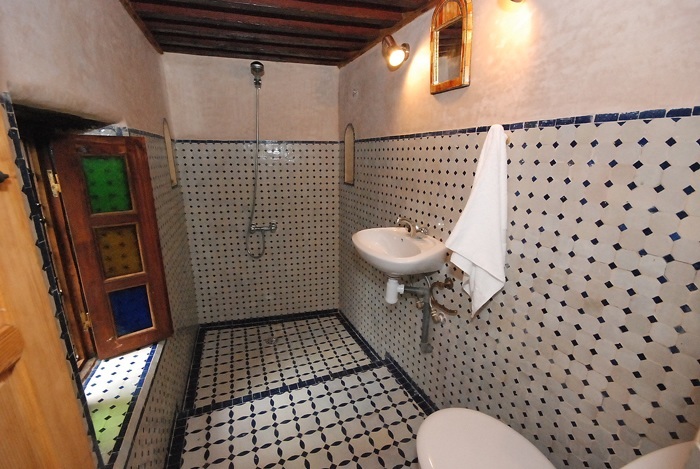 The bathroom is a few steps away, off the courtyard. 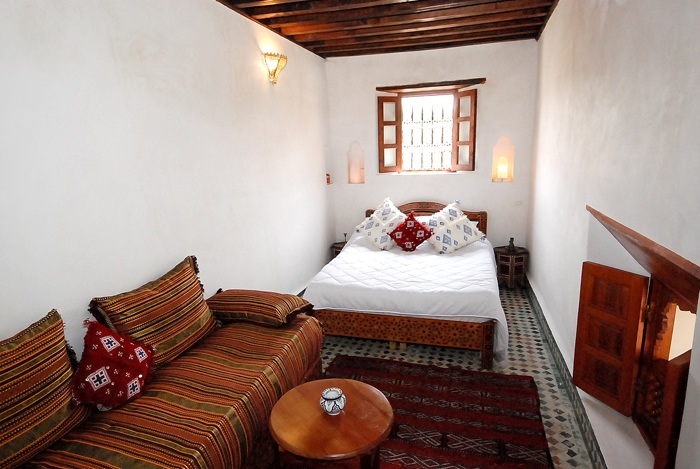 Another bedroom is on the second floor, also with a double bed, and a bathroom down the hall. 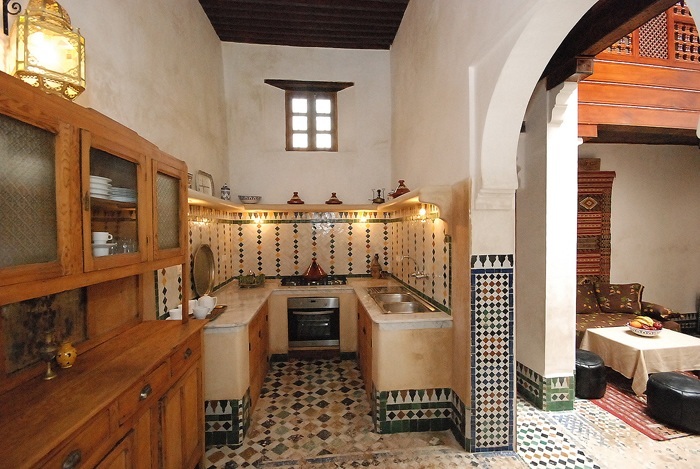 Dar Jnane has a lovely kitchen on the courtyard level. 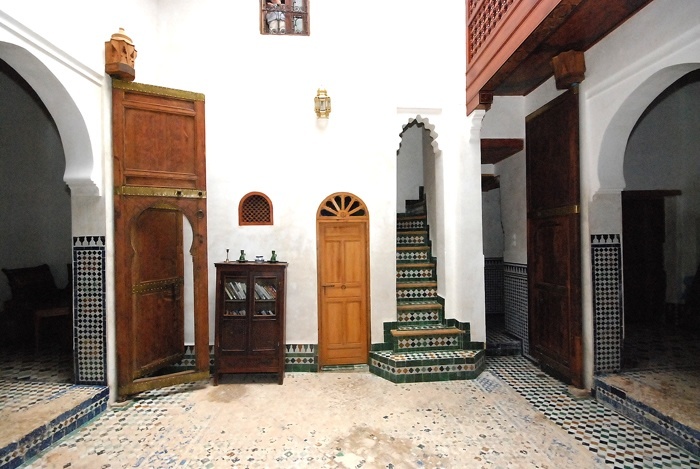 A note on the restoration of Dar Jnane: The original antique zellige tile in the courtyard of Dar Jnane has been retained—this is one of the elements that attests to the age of the house, and the more than two hundred years of use by Fassi families. When necessary, repairs to the courtyard have been made with salvaged antique zellige. 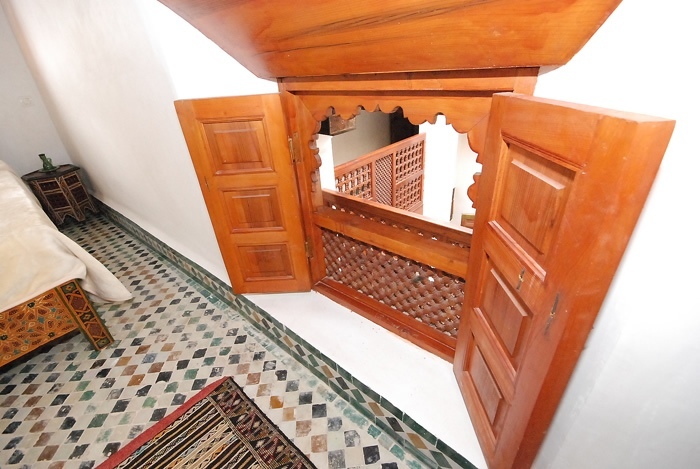 This is a true restoration approach to the antiquities of Fes. This approach is unfortunately rare now in Fes. Too often beautiful and original zellige courtyards are torn out and replaced by shiny new zellige tiles. 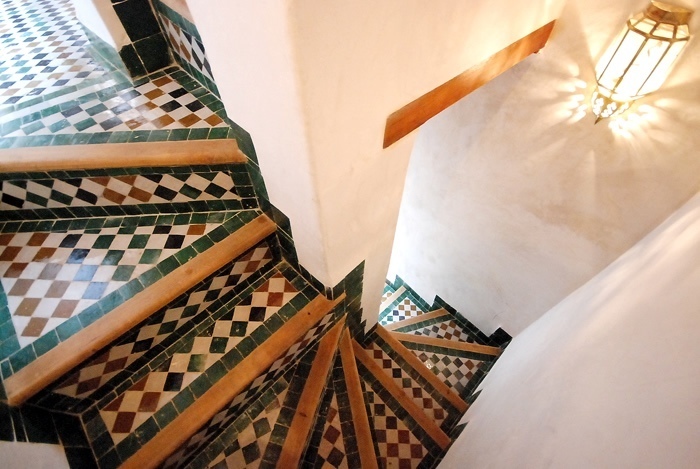 In order to preserve the authentic flavor of the antiquities of Fes, Fes Medina encourages a restoration—as opposed to a renovation—approach to Fes' architectural heritage. 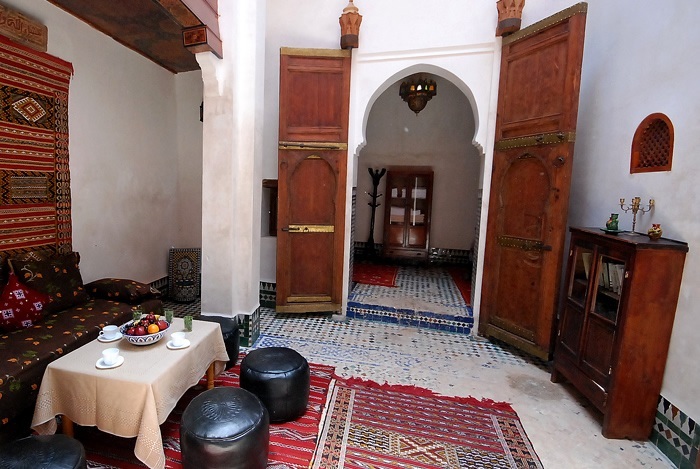 Special services available in Dar Jnane include breakfast served in the courtyard and welcome with orange juice or mint tea upon initial arrival. 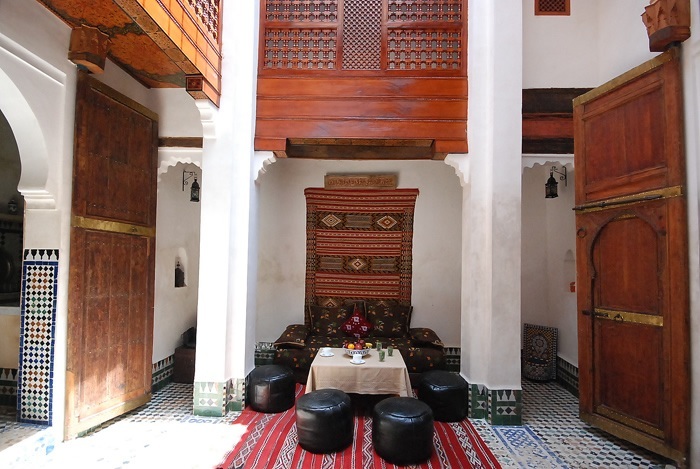 The Dar (or "house") is a traditional Moroccan house organized around a central tiled courtyard. Salons look out into the courtyard through arched doorways and large, graceful doors, often in a keyhole pattern. 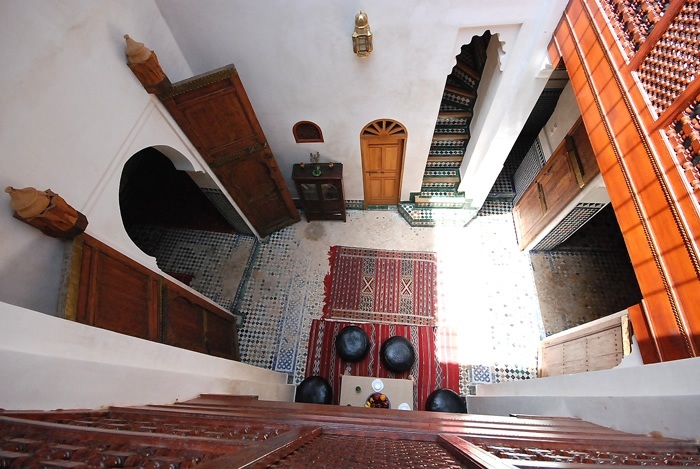 Unlike a Riad, whose courtyard is planted with a garden and often receives the rain falling at its center, the roof of the traditional Dar is now often covered with translucent material, preventing rain from falling into the center of the house while allowing in light. The Dar typically has no windows onto the street outside. Instead, all windows open inward to the open-air central courtyard that is the heart of the house.